Frank’s birth was registered in Hungerford in 1894. 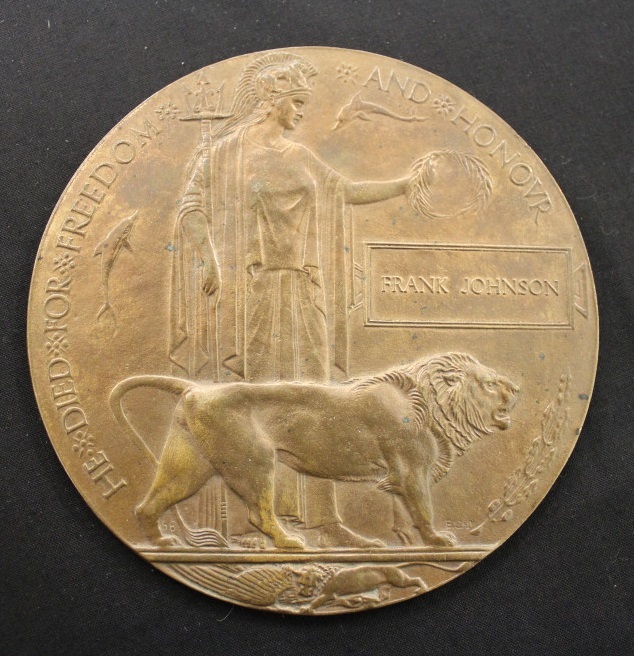 He was the son of Frank and Lucy Johnson who both came from Wiltshire. His parents had moved to the Hungerford area in the mid 1890s then came to Datchet around 1899. In 1901 they were living at Talbots Cottages, off Workhouse Lane (now Holmlea Road) with seven children: Elsie, born 1885; Margaret, 1890; Annie, 1892; Frank, 1894; Elizabeth, 1895; Charlie, 1899; and baby Ellen, born 1901. By the time of the 1911 census, Frank’s parents were living at Churchfield Cottages in Whites Lane which runs off Slough Road. His father worked at Riding Court Farm. The older children weren’t with them but Charlie and Ellen were there as well as two more children, Albert 4 and Reginald 10 months. (The census recorded that the Johnsons had had 12 children but three had died.) Frank, like his father, was working as a cowman, and lodging in nearby Burnham. He was living with another cowman and his family at Nuts Court, next to Britwell Old Farm, which may have been where he was working. Frank signed up sometime between the outbreak of war in July 1914 and the following January. He enlisted in Slough, joining the 1/1st Bucks Battalion of the Buckinghamshire Yeomanry (Royal Bucks Hussars), as Private 2895. His name was included on the Datchet Roll of Honour printed in the Windsor & Eton Express in January 1915. The 2/4th had been formed at Oxford in September 1914 as a second line reserve unit. 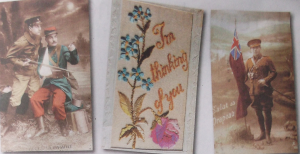 In January 1915 they moved to Northampton and were attached to the 184th Brigade in 61st (2nd South Midland) Division. (This is the same division as another Datchet soldier, Albert Carrod) The units of the ‘second line’, the 2nd South Midland Division, remained at home for some time. 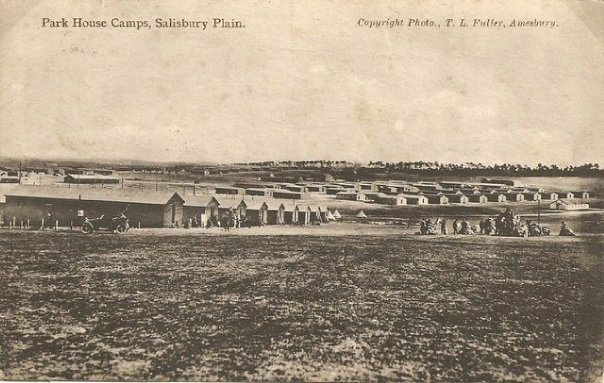 They moved to Chelmsford, Essex, in April 1915, then in early 1916 to Park House Camp, Salisbury Plain. 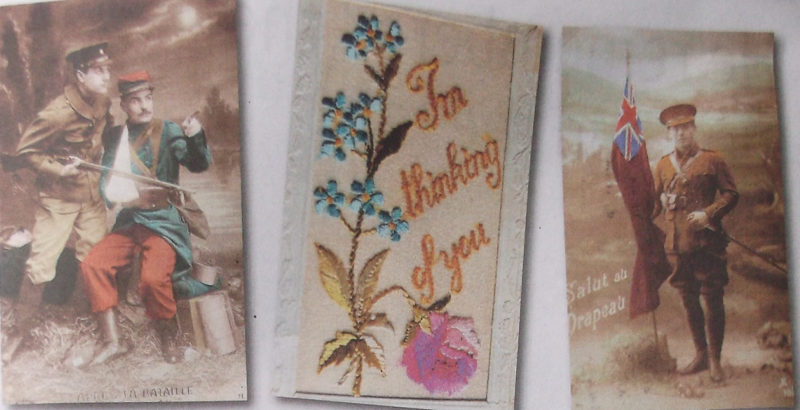 It wasn’t until May 1916 that the 61st was sent to France. 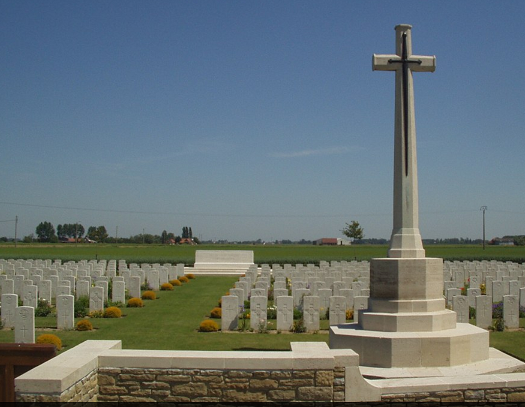 The Division took part in The Attack at Fromelles in July 1916 but suffered such heavy casualties without any significant gain that the Division’s reputation was damaged. It was then used just for holding trench lines until 1917. 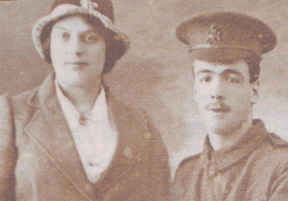 When Frank was home on leave at the end of 1916, he took the opportunity to marry his sweetheart. In January 1917 he married Bertha Rosehannah Woodward. Bertha, born in 1895, was the daughter of William Alfred Woodward, a market gardener from Dedworth Green, and his wife Bertha from Slough. She had an elder brother, William and two younger sisters, Annie and Eva. In 1901 her family had been living in Chalvey, at 137 The Crescent. Sadly Bertha’s father had died in 1903, age 40, and by the time of the 1911 census, the family had moved to 25 Stanley Cottages, Stoke Road, Slough. Bertha’s mother had taken on work as a charwoman; brother William, then 17, was listed as an invalid (he was born with spina bifida); 15-year-old Bertha was contributing to the household income by working as a domestic servant; and the two younger girls were still at school. In 1918, Bertha and Frank’s address was 20 Stanley Cottages, a few doors away. Frank returned to his battalion soon after and in 1917, the 61st was engaged in The Operations on the Ancre, The German Retreat to the Hindenburg Line, and The Battle of Langemarck in the Third Battle of Ypres. In 1918, the 61st saw action in the First Battles of the Somme, (at St Quentin and the Somme Crossings); and at The Battles of the Lys, (at Estaires, Hazebrouck and Bethune). The Division had been involved in continuous action from August 1917 and by April 1918 the troops were exhausted. They were moved north to La Bassee Canal near Bethune to what had previously been a quieter part of the line. Unfortunately it was here that the Germans launched the second phase of their offensive on 9 April 1918. The Division became involved and many casualties were incurred. Robecq, May 1. Quiet day. Robecq May 3. Quiet day. St Venant May 7. Day spent bathing and reorganisation. St Venant May 8. Quiet day. St Venant May 10. The day was quiet. St Venant May 11. A quiet day. News of Frank’s fate soon reached home. 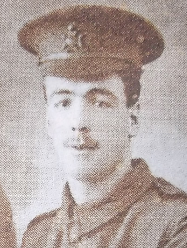 The Slough Eton & Windsor Observer reported on 8 June 1918 that Frank Johnson, of 20 Stanley Cottages, had been killed in action. Frank’s death was reported in Datchet’s Parish Magazine in June 1918: ‘Frank Johnson, whose father is employed at Riding Court Farm is another life to be sacrificed. Notice of this arrived just as we were going to press’. Frank Johnson is buried at St Venant-Robecq Road British Cemetery, Robecq, Pas de Calais, France, in plot II, row C, grave number 25. His headstone is in the second row behind the cross in the image, right, closest to the central grassy aisle. 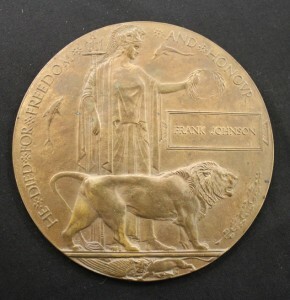 Frank’s epitaph, chosen by Bertha, reads ‘Lovingly remembered by all who knew him’. He was awarded the 15 Star, Victory and British War Medals. 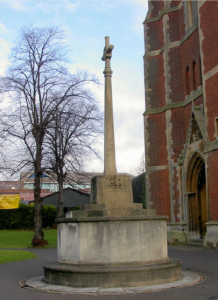 Frank is also remembered on Datchet’s WWI memorial on the village green and also at St Mary’s Church in Slough. Bertha went on to marry again. She met her second husband, Walter Beaven, while she was working in service in London. Her sister Annie later married Charles Walter Cleversley from Datchet.